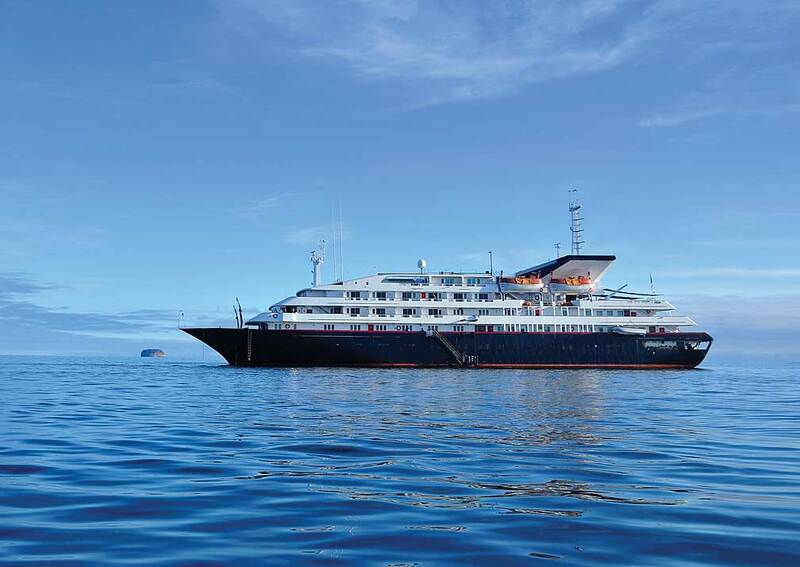 This large expedition ship has accommodation for up to 100 passengers, all in ocean-view suites, many of which have balconies. 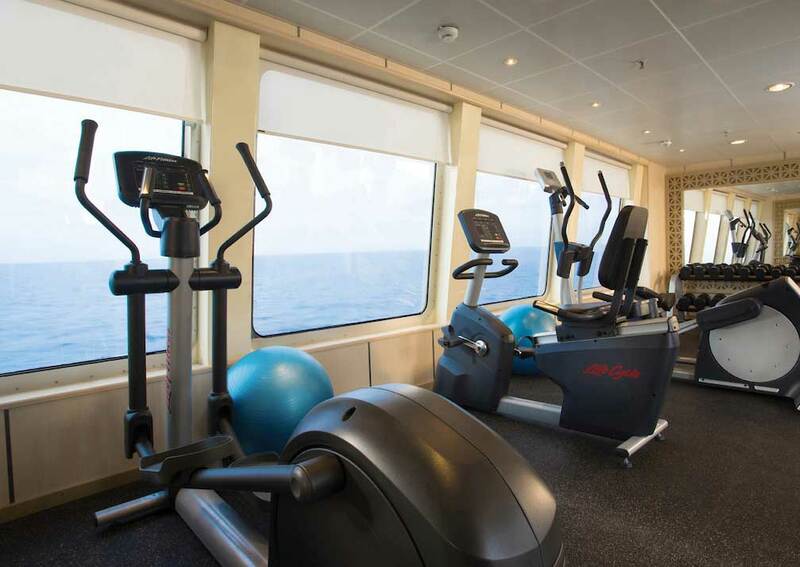 As you’d expect of a ship of this size, there is a lot of space and a good range of amenities. 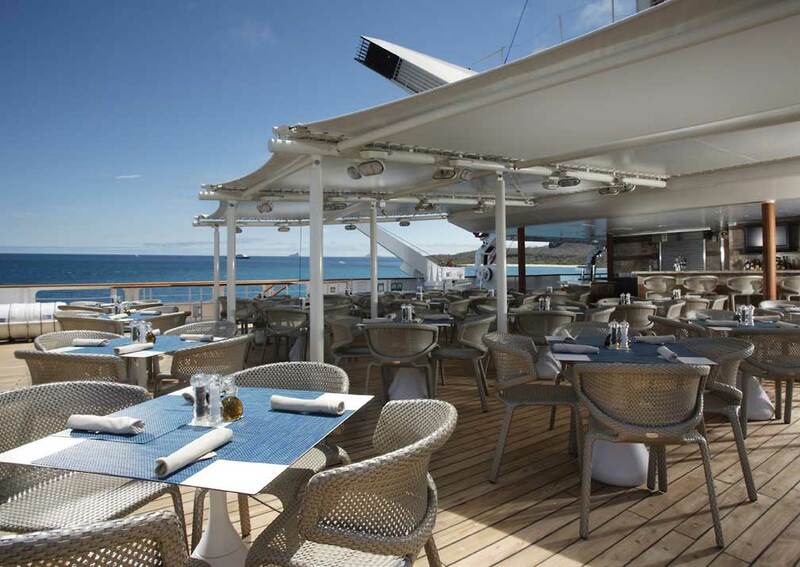 The large restaurant is on deck 3 with the grill on deck 4. 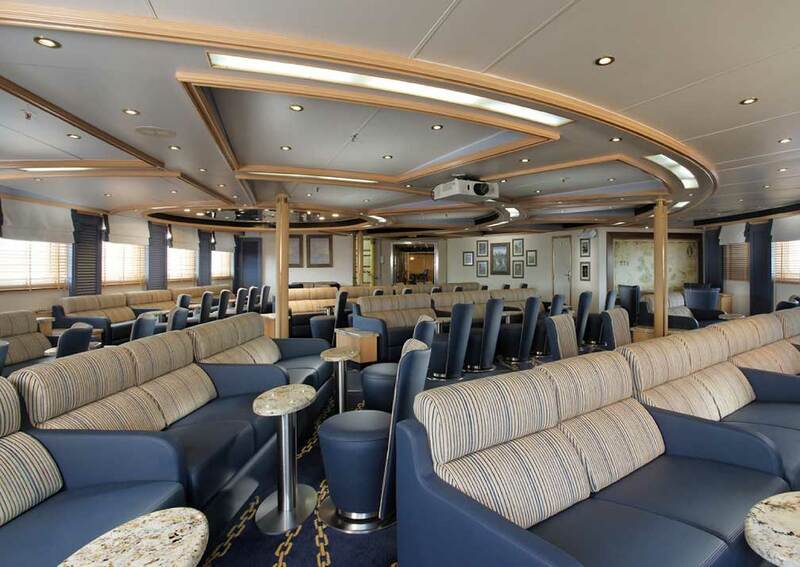 The main lounge, boutique, library and shore excursion desk can all on deck 3. 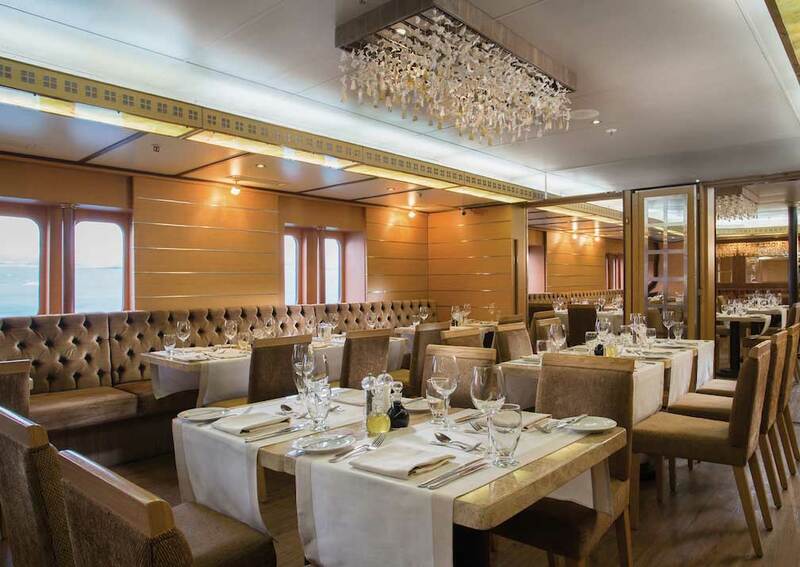 Other social areas include a piano bar, gym, Jacuzzi, massage room and beauty salon. 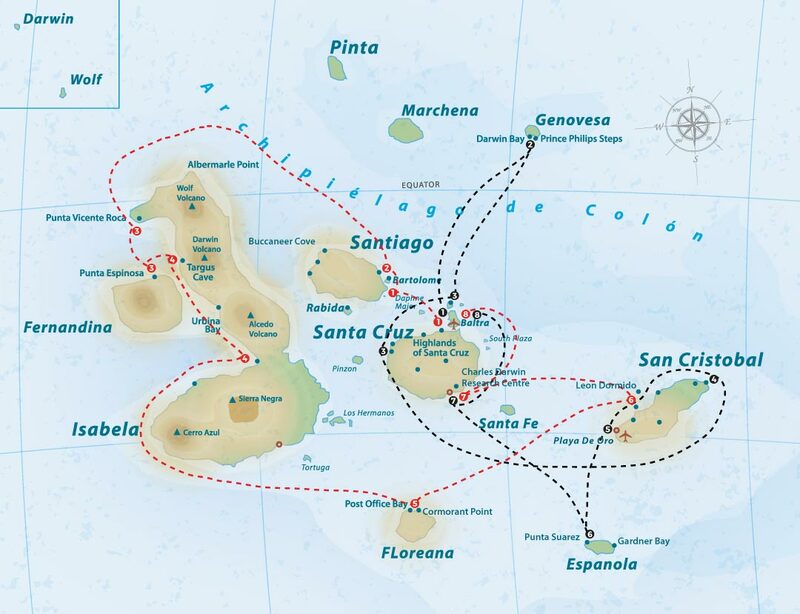 Silver Galapagos has a crew of 70, to look after the 100 passengers. 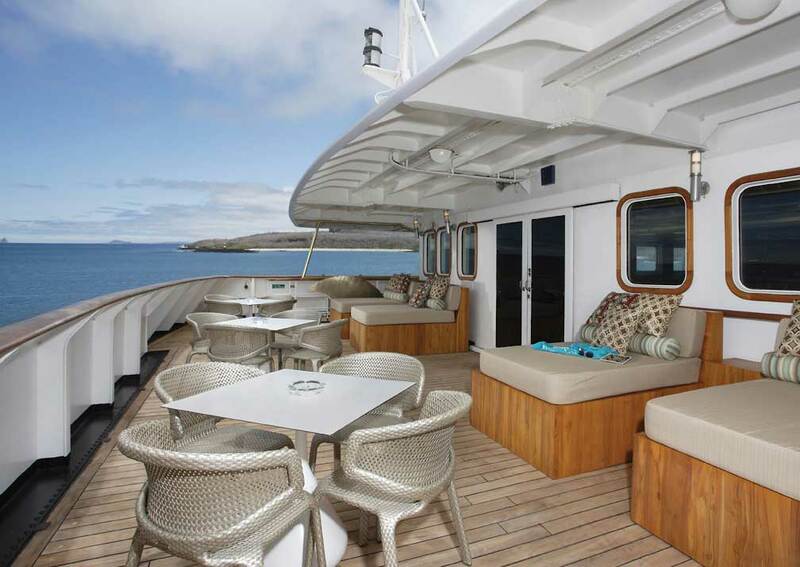 Silver Galapagos accommodates up to 100 passengers in 5 categories of suites over 5 decks. All suites have 2 twins or 1 queen bed, a sitting area, writing desk, wardrobe or closet, safe, vanity unit with hairdryer, stocked minibar, TV, radio alarm with iPod dock, wi-fi internet access (pay locally), marbled bathroom with toiletries, bathrobes and slippers, beach towels, binoculars and butler service. There are 24 explorer suites, 7 on deck 2 (no.s 246 – 252), all 20-22 square metres, 12 on deck 3 (no.s 334 – 345), 22-23 square metres, and 5 on deck 4 (no.s 428-431 & 433), 22-23 square metres. Suites 336-341 can sleep 3 passengers. 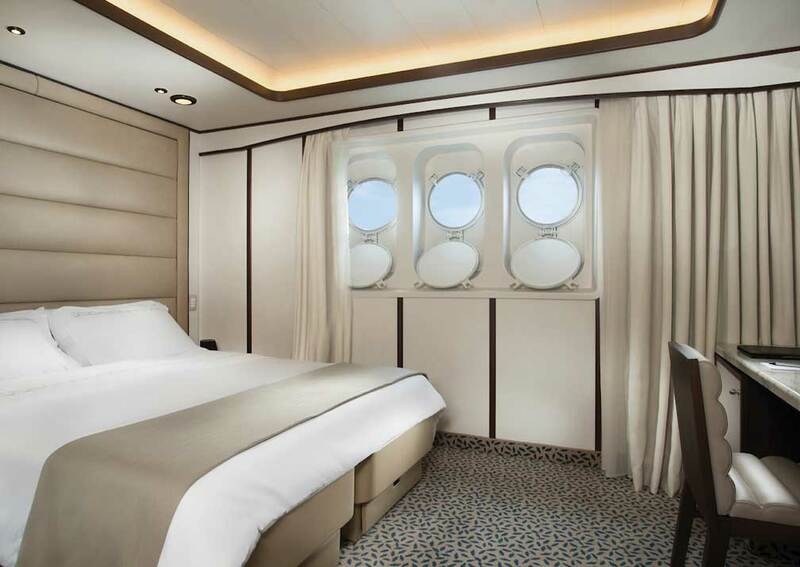 Suites on deck 2 have 3 portholes, those on decks 4 & 5 have windows. 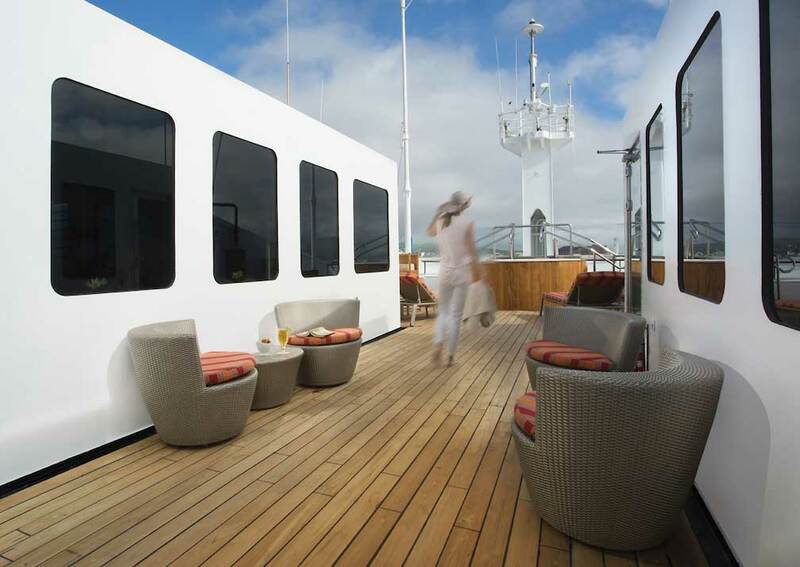 There are 2 terrace suites on deck 5 (no.s 505 & 506), each measuring 26.38 square metres and with picture windows. 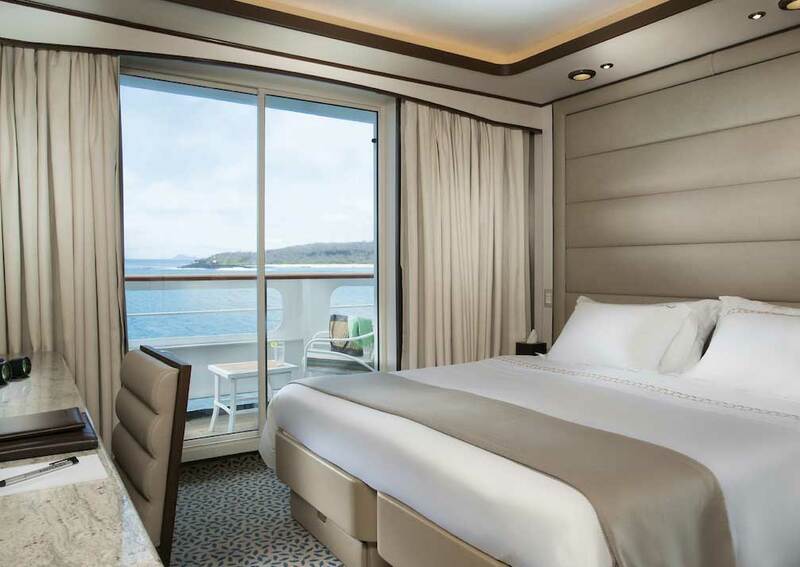 There are 12 veranda suites on deck 5 (no.s 507 – 512 & 514 – 519), all can sleep up to 3 passengers and have a veranda with patio furniture and cover an area of 25 square metres (including the veranda of 5 square metres). 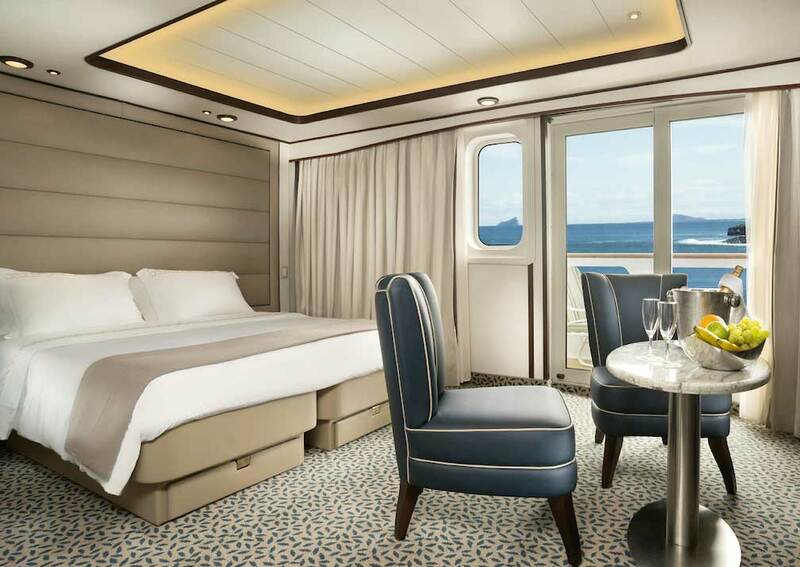 There are 8 deluxe veranda suites on deck 4 (no.s 420 – 427). 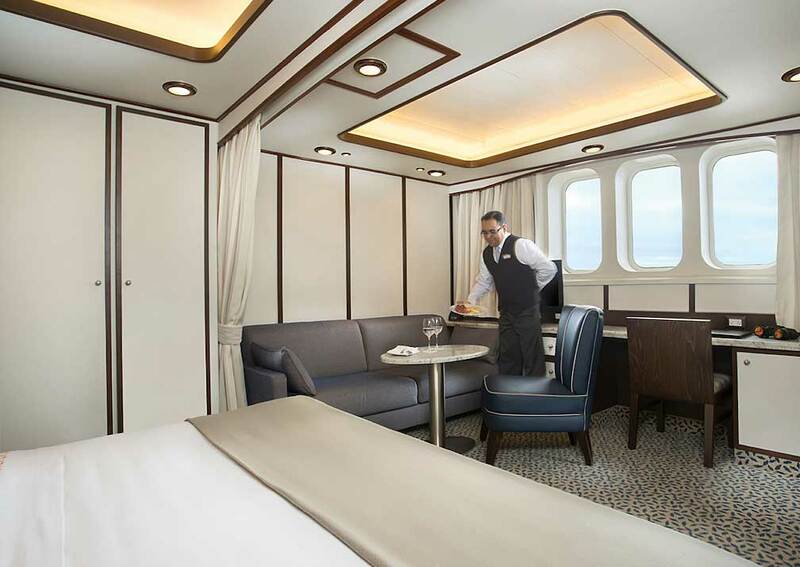 Each can sleep up to 3 passengers and has a private balcony with patio furniture and covers an area of 28 square metres (including the balcony of 6 square metres). 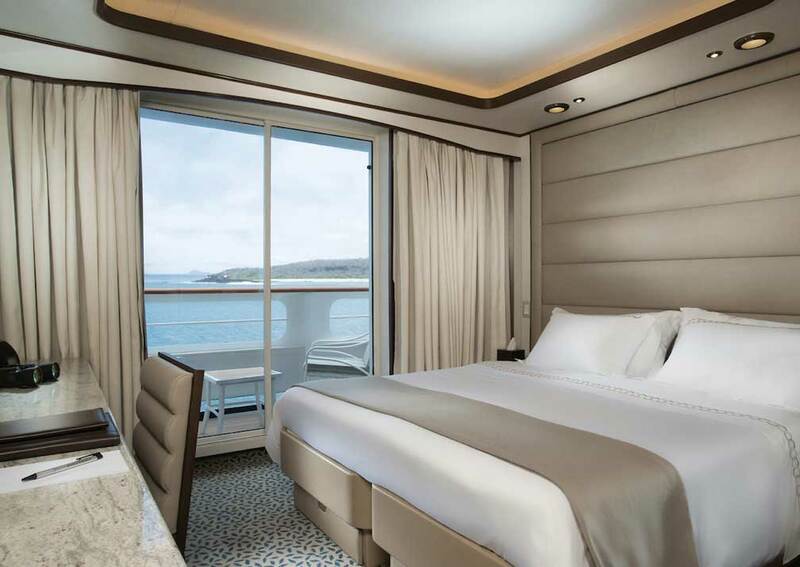 There are 4 silver suites on deck 6 (no.s 601 – 604), each can sleep up to 3 passengers and has an Illy espresso machine, sparkling wine, chocolates and fruit, free laundry service and a veranda with patio furniture. Each has an area of 34 square metres including the veranda of 7 square metres. 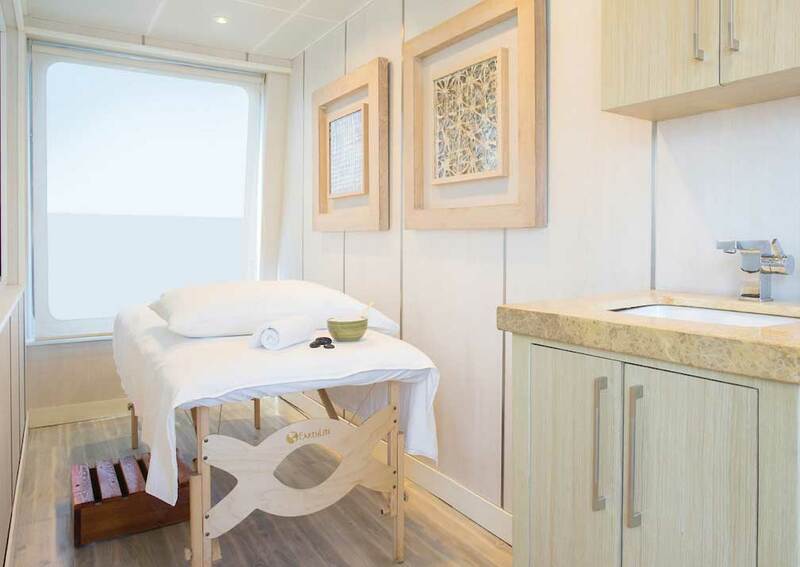 Accommodation: All cabins are outside cabins with ocean views and many have balconies. They are en-suite and have TV, iPod dock and Wi-Fi (pay locally). Bathrobes and slippers are provided for all guests and there is butler service. 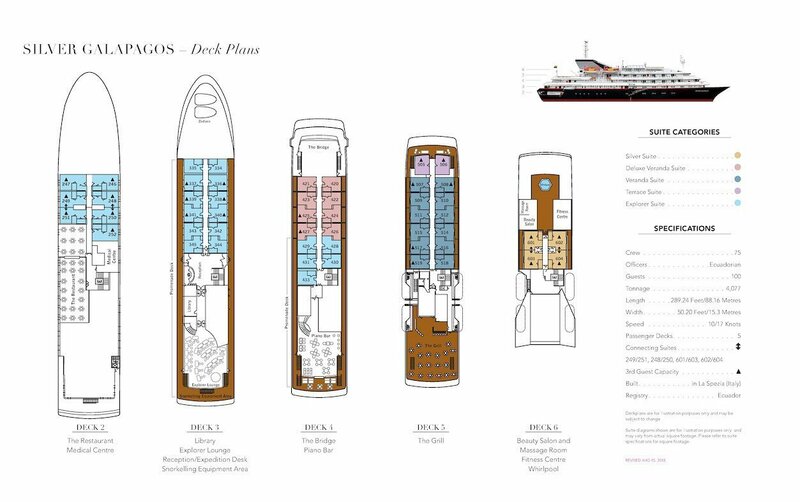 On Board: There are 5 decks of accommodation. 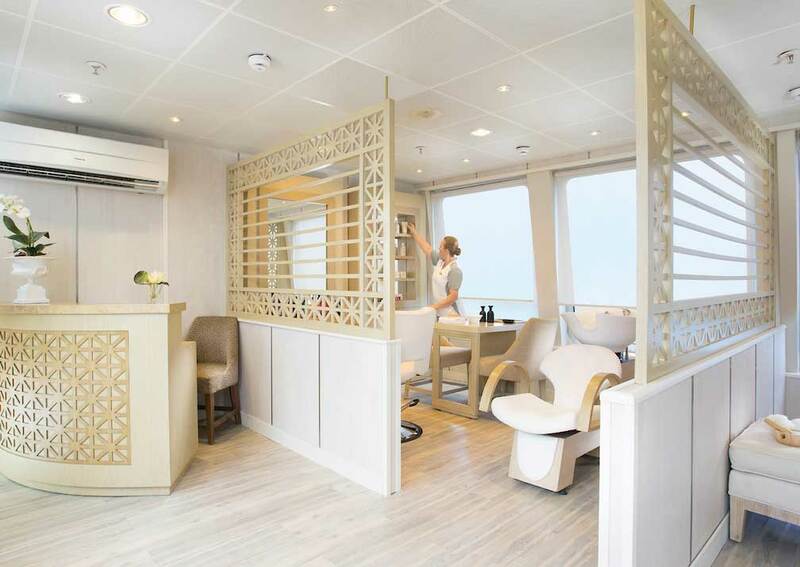 Social areas include a lounge, library, restaurant, grill restaurant (outdoor), piano bar, shore excursion desk, boutique, gym, massage room, beauty salon, deck with jacuzzi. There are 2 lifts.